It’s time for another Rocket League Community Spotlight and this time around we're focusing on ground-based ball control. Harnessing the timing, knowledge and muscle memory to flick the ball over an unassuming opponent is a critical skill to win. In fact, some of the most popular video clips on our Subreddit have been those that showcase a player’s ability to masterfully control the ball. It’s no secret that ‘Custom Training’ provides some of the most efficient means of practice outside of playing real matches. Knowing this, the Rocket League community has honed their skills using various packs found in the ‘Featured’ Training Browser. Now, we're passing on some of the most popular and useful selections on to you -- specifically focusing on packs that target the game's core mechanics in addition to ball control. 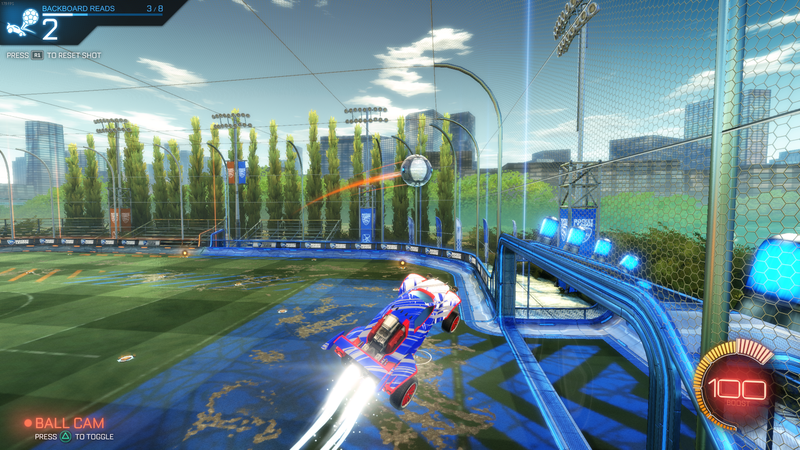 If you're looking for more, don’t forget to fly by last month’s Community Spotlight to discover new ways to practice aerial control! 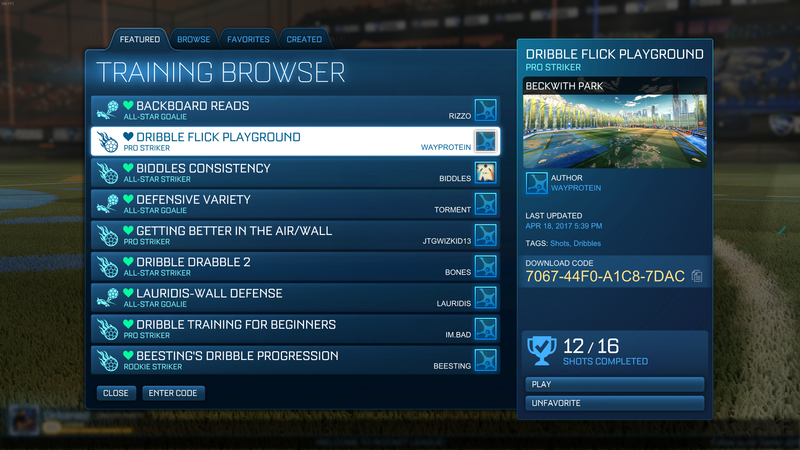 Looking back at May’s Community Spotlight, French Fries introduced us to Dribbling Challenge 1.1.1; a map that specializes on the intricacies of that highly-advanced skill. With bigger and more dynamic obstacles in mind, French Fries has picked up where he left off with his newly-published Dribbling Challenge #2. Whether it’s long runways, massive gaps, or swinging blockades, this new update offers even more exciting ways to practice your ball control in an unforgiving environment. Whether you play casually or against the clock, you'll learn what it takes to get an edge on your opponents the more you practice. Oh, and if you’re up for it, try to beat pro Rocket League player Dappur and his 7-minute, 37-second world record! Good luck with this month’s featured training packs, and don’t forget to check out all of the community creations the Steam Workshop continues to offer!